On four Saturday afternoons a year, the back dining room of Leed’s Restaurant on Eisenhower Boulevard becomes 221B Baker Street and the meeting place of the White Rose Irregulars. 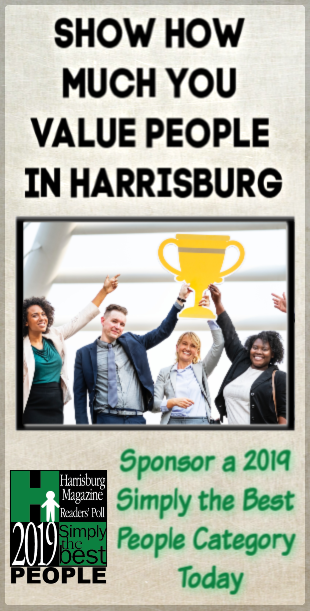 The White Rose Irregulars is Harrisburg’s Sherlockian Scion Society of the Baker Street Irregulars and was formed in 1987 by local Sherlockians who shared an interest in Sherlock Holmes and his adventures found in the Canon: Sir Arthur Conan Doyle’s 56 short stories and four novels. Referring to himself as a “consulting detective” in the stories, Holmes is known for his proficiency with observation, forensic science, and logical reasoning that borders on the fantastic, which he employs when investigating cases for a wide variety of clients, including Scotland Yard. First appearing in print in 1887 Beeton’s Christmas Annual with Doyle’s A Study in Scarlet, Holmes’ popularity became widespread with the first series of short stories in The Strand Magazine, beginning with “A Scandal in Bohemia” in 1891 with additional tales appearing until 1927. All are set in the Victorian or Edwardian eras between 1876 and 1914. Most are narrated by the character of Holmes’ friend and biographer Dr. Watson, who usually accompanies Holmes during his investigations and often shares quarters with him at the address of 221B Baker Street, London, where many of the stories begin. Though not the first fictional detective, Holmes is arguably the best known, with Guinness World Records listing him as the “most portrayed movie character” in history. Holmes’s popularity and fame are such that many have believed him to be not a fictional character but a real individual. Members of the White Rose Irregulars meet to play “the Great Game” that Holmes and Watson were real, and that Sir Arthur Conan Doyle was their literary agent. This format was invented by Christopher Morley, an American journalist, who founded the Baker Street Irregulars in 1934. Born in Haverford, Pennsylvania, Morley was selected as a Rhodes Scholar to study at Oxford, England in 1910 where his Sherlockian passion was kindled. In 1920 he moved to New York and became columnist for the Evening Post. He was also a contributing editor of the Saturday supplement of the Literary Review. Morley also founded the Saturday Review of Literature which he ran for several years. In this position, Morley encouraged the intellectuals of the time to join him in his new Sherlockian hobby. He created the Three-Hours for Lunch Club, for both men and women. It is in this context and in this club that The Baker Street Irregulars was created and named after the group of street urchins Holmes relied upon for information on the London underworld. Fast forward to 2019. “I became a Sherlock Holmes devotee at the age of six,” says Nick Cardillo, a student at Susquehanna University and a White Rose Irregular. He joins his fellow members, ranging from Millennials to the Greatest Generation, for fellowship before the official start time. Leader of this merry band of Sherlockians, Denny Dobry, brings the group to attention promptly at 1 p.m. with the chiming of Big Ben over the speakers. The “Game” then starts with members giving traditional toasts. According to Christopher Morley the traditional toasts are to “The Woman” (Irene Adler, the woman who outfoxed Sherlock Holmes), to “Mrs. Hudson” (Sherlock’s dutiful landlady), and to “Dr. Watson’s Second Wife” (who may or may not have existed). After the toasts are made the group then partakes of lunch off the menu. Keeping with the theme of 1895 London, a popular selection is Leed’s hand battered fish and chips. 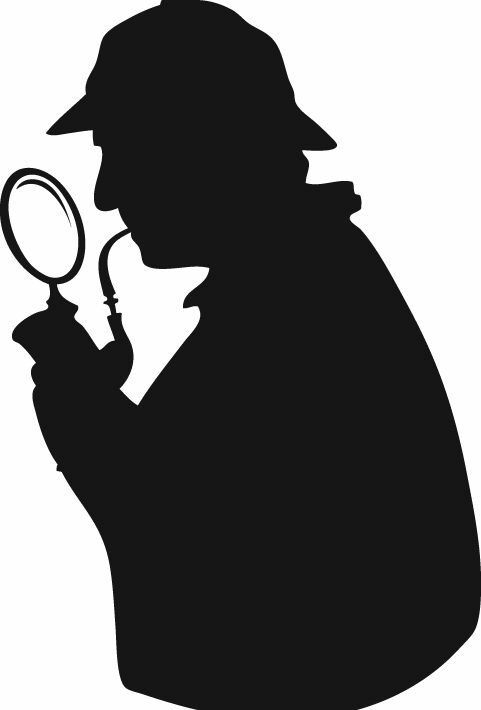 While fellowship and food are two good reasons to attend a White Rose Irregulars meeting, the real reason the Great Game was created is to examine the assigned story and see how well Holmes and Watson did in their sleuthing. Members pull out their editions of the sacred text. Here is where the keen mind will observe how many different printings of the Canon there has been. From the original books to the annotated works of William Baring- Gould and Les Klinger to paperback and kindles, there is a cornucopia of the Canon accessible to everyone. There is no detail too small that is not of interest to a Sherlockian. Whether it is the date the story took place, where Watson was wounded in Afghanistan, or can snakes really hear, you quickly discover that there is more written about Sherlock Holmes than any other literary character. Having visited some of my fellow Sherlockians’ homes I can attest to witnessing thousands of books about the Great Detective. Participation is not required during the discussion but it is interesting to hear all the nitty gritty details of the story being read. The stories are also enhanced by props that have been collected by members for each of the stories. If there was a telegram sent, a clue left at the scene of the crime, a watch mentioned, a map to be followed then you will be able to see a reproduction of that item in Watson’s evidence box or in Watson’s scrapbook. These labors of love help to explain some of the Victorian words and artifacts which are no longer in use. To wrap things up we take a quiz which depending on the quizmaster for the meeting can vary in toughness. Whoever does win gets a prize and bragging rights till the next meeting. For additional information about the White Rose Irregulars or to inquire about the next meeting, contact Denny Dobry at dendobdendobry@ptd.net. Sherlock Holmes in the 56 stories and four books written by Sir Arthur Conan Doyle? Scholars credit William Gillette as having originated the phrase with the formulation, “Oh, this is elementary, my dear fellow,” in his 1899 play Sherlock Holmes. However, the script was revised numerous times over the course of some three decades of revivals and publications, and the phrase is present in some versions of the script, but not others. is used by protagonist Tom Beresford in Agatha Christie’s 1922 novel, The Secret Adversary. It also appears at the end of the 1929 film, The Return of Sherlock Holmes. use in Virgil Rathbone films from 1939 to 1946.